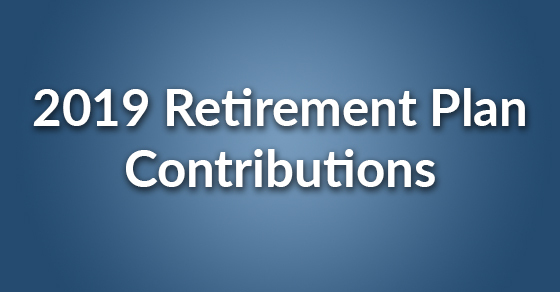 As a follow up to our previous post about retirement plans, here is some information about 2019 retirement contribution limits. The amounts are indexed for inflation and most have increased this year. One notable exception is if you are a taxpayer over the age of 50 your catch-up contributions have not increased. As with all things tax related, there are additional factors that go into what can be saved. It is best to consult a personal tax accountant before making any changes to your current situation.